Nouvelle construction chez Starboard en 2018 avec le Carbon LCF , pour réduire l'empreinte carbone ( Vol en Co2 ) . En employant une résine Bio et un balsa à grain fin en remplacement du traditionnel PVC à base de pétrole . La fibre de carbone reste inchangée . Starbaord annonce une technologie plus solide , rigide et plus légère qu'une planche carbone classique . Starboard’s flagship board range. The cutting edge in windsurf board technology, the lightest, fastest windsurf boards. World Champion 2016, men and women. New 147 and 157 sizes. 117, 127, 137, 147 and 157 are Ready To Foil: the fin boxes are reinforced and ready for foiling. New Carbon L.C.F technology available for all sizes. 90: we improved planing performance and the jibe exit speed by increasing the width at 60cm by 9mm. This also has a positive incidence on the acceleration that is very important in slalom, where getting to max speed as quick as possible is key to winning. This also make the board easier to control as the ride becomes lower than before. 97: we reduced the thickness up to 7mm, particularly in nose area, to increase control. The cut-aways in the tail have been redesigned to reduce the wet surface for a more slippery board. Together, you have a board that you can control further, in more winds than before. Highly recommended for medium weight racers as their medium board. 107: this board is a bit bigger this year, 1cm wider and thicker in tail to increase the performances with 8.6 sails, as the gap between 137 and 107 has grown big. To keep the top end speed and performances with a 7.8, we also reduced the wet-surface in tail by adjusting the cut-aways. The result: this board accelerates more than before, even with a 7.8. The winning slalom machine for medium and heavy weights in medium wind. Foil Ready. 117: totally new this year, the 117 now draws from the same style as the 127 and 137 with more lightwind emphasis. It is the light weapon for lighter weights and the powerful option for medium to heavy weights in medium winds. Foil Ready. 127: more compact and 2cm shorter. The wetted surface area is 2cm narrower at 30cm from the tail (although the width of the board at this point is only 5mm narrower). The result is earlier planing, quicker acceleration, higher top-speed and improved jibing performance. Foil Ready. 134: this much-loved shape from 2016 makes a return following to the PWA’s decision to add foiling as a lightwind alternative to slalom in the 2018 season. While the 137 below is more powerful in lighter winds, the 134 is the preferred choice in windier conditions with its narrower tail. 137: the new 137 is 3cm shorter. The wetted surface area is 1.7cm narrower at 30cm while the width of the board at this point is 1.3cm narrower. Like for the 127, the result is earlier planing, quicker acceleration, higher top-speed and improved jibing performance. Foil Ready. 147, 157: the new 147 size is designed to meet IFCA’s updated 91cm limit for slalom racing. Together with the 157, they are two hyper-efficient lightwind machines. 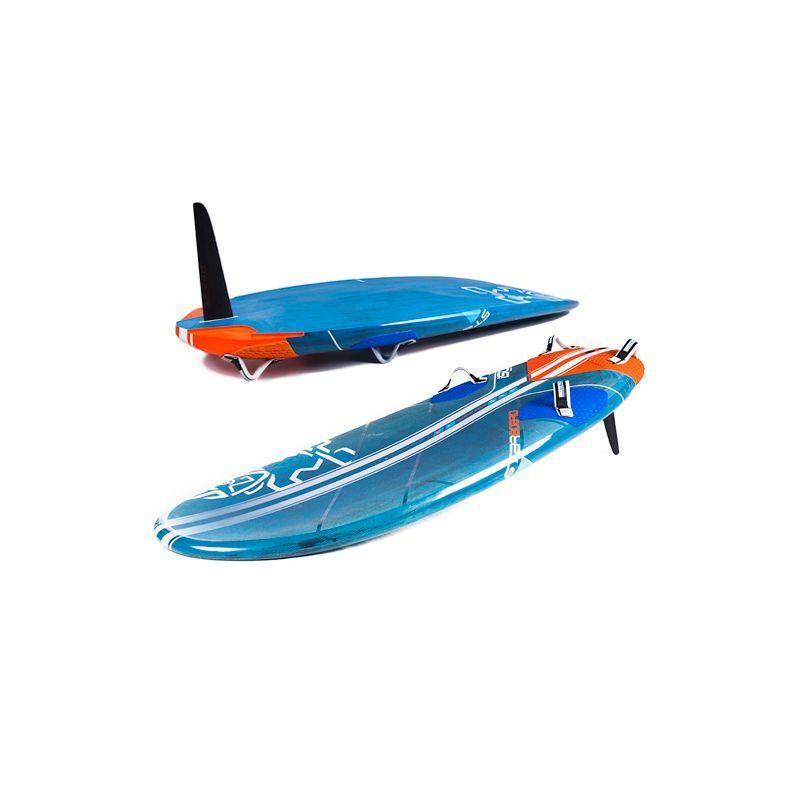 At these width, they also become the most highperformance foil boards from Starboard that can also be used for regular windsurfing.